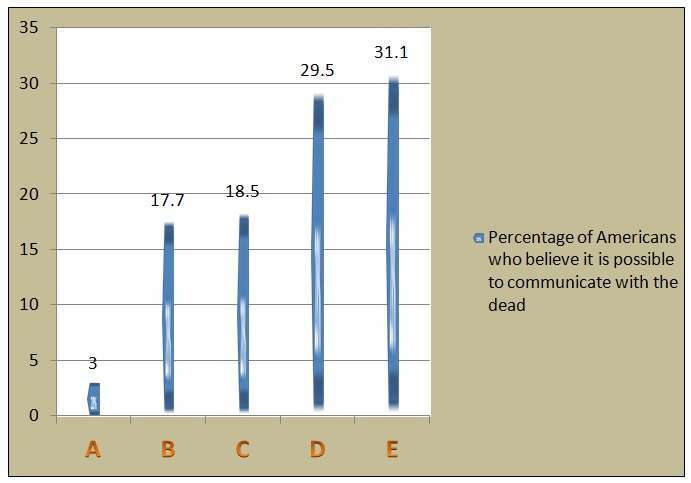 Communicating with the dead… What do you believe? Find the answers in the comments. Since I can’t sleep due to already being on my whacky summer sleeping schedule, please excuse the following rambling. This evening I made a return visit to the old abandoned farmhouse that MOSS investigated a month ago. By the way, can I please have a badge or something for being on my own and investigating in the dark for twenty minutes… in an old house in the middle of nowhere? I’ve certainly overcome some fears working in this field. In the last hour of our original investigation we had what may have been some really intense paranormal activity, but heavy rain crashed the investigation. In any normal situation I would have taken the time to “debunk” (I hate that term) what we were experiencing, but due to our command central being located out in the elements (under a tent) and the condition of the house itself, we had no choice but to pack up quickly and leave. For a whole month my mind has been going crazy, not knowing if what we experienced was real or not. The activity we were getting at the time seemed amazing, and it is so easy to let your mind run off with what you’re seeing and experiencing… especially when you’re passionate about the paranormal and really truly want to experience it. This home was built in 1901, and though just about all evidence of beauty is gone now, it has so much character. I can’t help wondering what stories the place could tell… the memories, the holidays, the good times and the bad. When people visit the battlefields of Gettysburg, for example, they find it nearly impossible to not imagine themselves in the middle of the time period. Wouldn’t you? You’d stare off into the distance and imagine the thousands of soldiers battling… the sounds… the smell of smoke… the loss of life. You would try to imagine what things happened in the very spot you were standing in, right? My mind just goes there when I’m in a historical location. Back to that evening a month ago… I was being a DJ for this ghost party, going down my playlist of trigger music from 1901 through to the 1940s. It was very cool to hear the crackling music, some of the very first recordings ever, bouncing and echoing off the walls and imagining a lazy Sunday afternoon in the same house in the early 1900s. Did they listen to music like this? Did they have the means of playing recordings? Did they produce or sing music themselves? My mind raced. If you ask my sister, she’ll tell you how incredibly spooky the whole experience was from outside, hearing the music and staring at the old house. For those of us inside the house, imagine what was going on in our minds as our K-II meter began flashing (for some songs more than others… favorites? ), almost as if someone was singing along. It had to be real, right? I practically saw a family, dressed in period clothing, singing in the room with me. When I returned this evening I invited the same guests to another party and played the same playlist. Nothing. Were they just not there tonight? It seems that my suspicions about what could have been causing the activity a month ago (my iPhone that I turned on just for the purpose of playing the music) may be accurate. In a way it feels better knowing, and that’s my job, but I’m bummed out. Lesson learned… AGAIN! In one of our first investigations we learned the hard lesson about walking around with the new and exciting iPhones. Now I get frustrated every time I watch a paranormal investigator on TV, holding or using an iPhone in one of the shots. Since then, all phones are turned off for our investigations. But at the farmhouse I turned on the phone just to play the music… and it was six feet away. What could go wrong? I’d know if it were my phone, right? I still find it hard to believe that my phone caused lights to flash almost perfectly to the rhythm of Amazing Grace. And maybe there really was someone there singing along… and maybe not. Maybe my only guest to this party was the bird flying in the other room… or the raccoon in the attic. Even when we think we know, we really don’t… do we? In a session on May 17, 2012 around two minutes into the session I asked “Can you tell me how many are here with me?” There is an immediate response that is not picked up in the second recorder (I always use two recorders to help identify natural sounds in the recording environment). I have absolutely no clue what this EVP is saying. How many are here with me? For more on Harry and his paranormal research, I very much recommend his book The Most Haunted House in England about the Borley Rectory. I believe it is out of print, but there are usually used copies for sale online. It is like a lesson in taking things back to the basics in an investigation, although Harry was pretty techie for the time period. Did YOU know that if you say HU (pronounced like “hue”) before bed it will help you to remember your dreams? Did you know it is also supposed to be helpful in curing addictions and even insomnia? Just another tidbit I learned in a Randall Keller book. I had no idea… It’s a vibration thing… and apparently it’s been around for many, many years. Where have I been? Check out this site. You can scroll down to find videos.